You can grow it here: elegant cut flowers, exotic gourmet vegetables, rare and precious herbs, fragrant and carefree roses. Well, okay, forget about rhubarb, Irish moss, those impossibly tall dahlias and the long-stemmed florist’s roses. Tulips don’t fare well, either—here one spring, gone the next. Any seasoned gardener can give you a list of what won’t last long in Texomaland and tell you why, citing grasshoppers, spider mites, drought, flood, wind and hail, cold and heat, black soil, white soil, and the plain old rotten terrior in their own back yards. But who cares? For every delicate northern beauty they lament, I can show them a tough, sophisticated Texas charmer that will laugh at their fears. Does an armload of white hydrangeas spell elegance in the home décor for you? What about a fistful of daisies or a vase of old-fashioned roses? Formal or casual, floral arrangements are synonymous with style in the modern home or cottage. And they can all be yours. With careful planning, you can harvest the ingredients from your Texoma garden for lavish bouquets almost year round. Think seasonally. For every season, you’ll want something tall to set the tone—gladiolaformal to daisy-casual—something medium-tall to hide the knobby knees of the taller stems, and something low and showy, maybe even trailing over the sides of the container, to finish the composition. You can start with some of the beauties listed below. For the spring garden, grow forsythia, bridal-wreath spirea, snapdragon (especially the tall varieties), daffodil, cornflower, and ox-eyed daisy. For later bloom, include columbine, gladiola, Gerber daisy, Shasta daisy, larkspur, calendula, and early roses, like Lady Banks, which grows in sprays of yellow or white. Summer brings out the best in the Texas cutting garden. You can choose from hydrangea, cosmos, celosia, zinnia, black-eyed susan, purple coneflower, salvia, scabiosa, penta, cleome, and sunflowers of every shape, size and color. Roses that bloom in early summer include several suitable for the most stylish table settings: Belinda’s Dream and Duchesse du Brabant are multi-petaled and refined enough to hold up to crystal and silver. If it’s a country or cottage vibe you want, choose your roses from Nearly Wild, Ballerina, Mutabilis, Ducher, or Altissimo. Even more freewheeling are The Fairy, Climbing Pinkie, and Knockout. 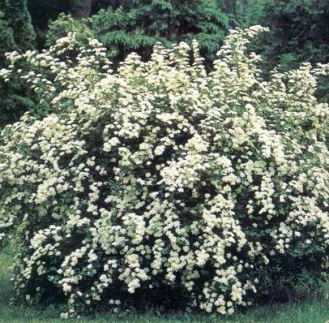 As for trailers and fillers, during much of the year, streamers from landscape ivies and honeysuckles will be available for cutting. In early spring, add sweet alyssum, dianthus, and trailing petunias to less formal arrangements. Mints provide curling or wandering stems in summer and fall and look good in almost any kind of bouquet. All the plants named above can be successfully grown in Texomaland by any alert gardener who plants them at the right time and gives them elementary care. Most of the annual flowers can be started from seeds in the garden. Perennials, shrubs and ferns are available in ready-to-transplant pots.